Lately every credit card company seems to have a trick up its sleeve. I don’t just mean the countless tempting offers that come in the mail. At least once a week I get a letter from companies I’m already using, letting me know they’ve changed the terms and conditions—again. Companies have been reducing credit lines and raising interest rates. Basically, they’re trying to cut back on risk and stay competitive in this down economy. I understand that they’re in business to make money, but as a customer, it’s alarming to see the rules keep changing. If you continue to let your credit card company walk all over you, you may end up with a card that offers no real benefits. Before that time comes, you need to call customer service and start negotiating better terms. It’ll take a significant time commitment, but you’ll come out ahead if you follow these five credit card negotiating tips. Can you get a lower interest rate, bigger credit line, or better rewards from another credit card company? If so, use the competing offer as leverage when negotiating with your current provider. The day that you receive a better offer in the mail is the day you should call your company to explain your position. If you ask for a better rate and back it up with another offer, you start the conversation from a powerful position. It’s a negotiation, so you’ll need to be willing to give something up in return for a better deal from the company. You can control of the negotiation by reminding your credit card company that you can do something for them too. If you carry a balance, for example, offer to increase your regular payment. Recently, after my credit card company increased my rate a couple of points, I gave them a call to discuss the matter. Rather than simply ask for a lower rate (I didn’t have the luxury of a competing offer) I decided to explain my position. I told the rep that restoring my original rate would give me an opportunity to make more than the minimum payment. This may have been a “little white lie” but it worked. Of course, I paid my balance in full the next month so both of us got what we wanted. I am not gullible enough to believe that after a successful negotiation, my credit card company is going to restore my rate indefinitely. At some point they’ll want to raise it again, so they’ll send another notice, and I’ll be back at square one. It’s a frustrating game, but you can take advantage of the situation. There’s nothing wrong negotiating a temporary change. Accept that nothing’s permanent, and you can get your provider to lock in a lower rate for a limited time, such as three or six months. Call again when the end of that term nears, and start up a new negotiating session. Resilience is a key factor in a successful credit negotiation. First, your initial call to the company probably won’t be enough. The first person to take your call may try to thwart your negotiation. If they do, hang up and call back. You may be surprised to find that the next person is friendlier and better able to help. If you don’t get anywhere on the first day, you won’t necessarily be out of luck tomorrow or next month. Credit card companies are always changing their policies and programs. A “no” today could be a “yes” next week. When those initial discussions frustrate you and the reps sounds like they just can’t help all, it’s time to go up the ladder. But remember, raising your voice isn’t going to help anyone see your point of view. Establishing communication with an entry-level customer service staffer is tough enough, and language barriers can make them even more difficult. Be patient. Remain calm. Your best bet is to explain that you want to speak with somebody else, preferably a supervisor. When you talk to somebody in charge, at least you know that they will hear you out. Sometimes the rep who answers the phone is more of a gatekeeper anyway, daring you to get up the guts to ask to speak with a supervisor. But once you do actually ask, often the supervisor is more than willing to accommodate your wishes to keep you a satisfied customer. If you’re not getting the help you need, you’re well within your rights to ask for someone else. Go for it. Credit card companies change their policies all the time. You deserve answers when they want you to accept a new agreement. Negotiation isn’t easy, so you need to prepare for battle. Block off some time when you won’t be distracted, and summon the strength to hold your ground. If you can resist the urge to give in just because they’re a big corporate machine, you can experience the victory of getting the terms you want. Have you had a successful negotiation with your credit card provider? How did you get ready for the call, and how long did the changes last? This entry was posted in Finances on 2012-07-22 by Money Funk. For a long time, I was firmly against purchasing a smart phone. I figured I was just fine with my old cell phone, saving money by avoiding expensive monthly data plan fees. However, after talking it over with friends and family, I finally decided to purchase one. I paid nothing for the actual phone, and my plan includes unlimited talk and text, along with a moderate amount of data, for only $50 a month. Considering that I paid $30 for my old phone, the price increase was pretty easy to justify. Now that I’ve owned my smart phone for a few months, I have found a variety of ways to save money that easily make up for the additional expense. For things such as groceries and gas, there are plenty of apps available that can help you save money. With Cheap Gas!, you can find neighborhood gas stations with the best prices, and by using RedLaser, you can easily compare prices of two different sized food items to see which one offers the best price per unit. Grocery Gadget saves you money right at the register, as it displays bar codes for current coupons on your phone’s screen, which the cashier scans to give you an immediate discount. The days of clipping coupons are over. Whether I’m purchasing a laptop computer or a major home appliance, I always have a lingering feeling that I’m not getting the best price, despite my Internet research. This ended once I put my smart phone to work. When I find what I think to be the best price for the item I wish to purchase, I scan the bar code using the Shop Savvy app to see if a better deal exists. If one is found, I show the price to the salesperson to see if they’ll match it. Often they do. Many smart phones come with built-in GPS capability, meaning you will no longer need a separate GPS device. I have found that the map displays are more accurate when viewed through my smart phone. If your phone does not come with GPS, try the AmAze GPS app. It’s free and offers turn-by-turn voice capability. I’ve found plenty of ways to use my smart phone to save time, which is often as good as saving money. I lead a pretty fast-paced life and am almost always on the go. Being able to read my emails and pay bills throughout the day frees up more time when I get home from work. And with my note-taking app Evernote, my life is now more organized than ever. There are far too many money-saving apps on the market to list here. Simply put, with a smart phone, you have the world at your fingertips. You can organize your finances with Pageonce, save on restaurants with BiteHunter, and get cheap international calling with Skype. There are times when spending a little more money up front will help you save in the long run, and I consider a smart phone to be a good investment. How do you save money with your smart phone? This entry was posted in Finances on 2012-03-03 by Money Funk. Dude, you still live with your parents? This phrase is uttered time and time again those who live their own and can’t understand why anybody would continue to stay in their parents’ home. Although there is nothing wrong with moving out, don’t overlook the benefits of living with your folks a little longer. If your parents support the idea, there are many reasons to stay at home for a few more years. If you could stay but are feeling the peer pressure to strike out on your own, weigh both options carefully. You may find that leaving the nest is not all it’s cracked up to be. Here are five reasons to live with your parents longer. 1. Maintain relationships with your parents and anybody else (siblings, extended family) living in the home. Let’s face it, many people move out and quickly lose touch with their parents. Phone calls start out a couple of times a week, but, eventually, you’re lucky if you can manage to talk once a month. While you may be looking for independence, moving out and avoiding your parents is a mistake that you will eventually regret. The longer you stay at home, the more time you can spend with your family. Sure, there are going to be arguments and disagreements. In the end, though, you will be happy that you had some extra time to strengthen those relationships. 2. Focus on advancing your career or education. When you live with your parents you don’t have many responsibilities outside of school and/or work. In turn, you can devote all of your time and effort to getting better grades, making more money, or moving up the corporate ladder. Living at home can be especially helpful when trying to get through college without accruing student loan debt. You can save money by not living on campus while also putting the cash you would be spending on rent toward your tuition. Take advantage of this time to focus on your goals. As soon as you move out you will find that your life has changed forever. You now have a house to take care of and bills to pay. As a result, you will not have nearly as much time for your career or education. 3. Do you dream of owning a home in the future? If so, you can save your money much faster when living with your parents. This is especially true if they let you live with them rent free. Why pay for rent when you don’t have to? By staying with your parents a little bit longer you are giving yourself enough time to save for the home of your dreams. Let’s say you decide to rent an apartment for $500/month. By the end of the year you will have paid $6k in rent alone. This does not take into account the price of food, utilities, and other expenses. By staying with your parents for two more years, you can bank at least another $12k toward a down payment. Now do you see how quickly your savings can add up? Even if your parents do ask for rent money, it’s usually a fraction of what you would have to pay if you were out on your own. Remember to offer something, whether it be monetary like rent or payment for a utility, or assistance with various household chores. Your parents are doing you a very generous favor, after all. 4. Can you really afford a home that offers all the amenities and features you have come to rely upon? In short, your parent’s home is probably nicer than anything you are going to get on your own. There is nothing worse than moving from a nice home to a dumpy apartment. Sure, you will have your independence, but that is about it! Saving some cash and working to advance in your education or career will insure that you are able to afford some additional creature comforts when the time comes. 5. Upkeep, upkeep, and more upkeep. What do you do if the furnace breaks at 2 AM? Who do you call about leaky pipes? If you buy a home you are going to be responsible for everything from interior repairs to lawn maintenance and much more. Not only does this take up a lot of your time, but it also costs quite a bit of money. Even if you move into an apartment you will find yourself spending time on maintenance. When you live at your parent’s home, you may be called upon to help out from time to time, but you won’t be solely responsible for upkeep. Don’t give in to peer pressure! If you have the option to stay at home a while longer, seriously consider taking it. As long as you are using the time wisely and working toward a better life, there is no shame in living with your parents. Did you live with your parents as an adult? What were you able to accomplish because of it? This entry was posted in Family & Relationships on 2011-06-13 by admin. Most people know a thing or two about auto insurance, home insurance, health insurance, and life insurance. It makes sense, as these are common policies that tens of millions of people pay for, month after month. But while these may be the most common types of insurance, there are others that offer very targeted coverage that you should be aware of. Just because a policy is obscure doesn’t mean that you should avoid it. There is no denying that weddings are expensive. 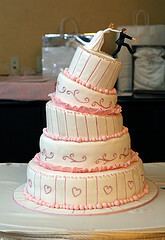 In fact, the average wedding costs more than $20k. But what happens if you spend all that money and nothing happens? What if the groom decides he doesn’t want to get married? What if bad weather throws a wrench into your plans? These unforeseen situations are where wedding insurance can really come into play. Believe it or not, wedding insurance only costs between $200 and $500, depending on the amount needed and the disasters that are covered. If you’re already spending thousands upon thousands of dollars on your big deal, why not buy a policy that will protect you financially? Every year, millions of people get involved with a fantasy sports league. And every year, many people lose because one or more of their players is injured in real life. If your star pitcher tears up his shoulder and is out for the season, your chance of winning just went down the drain. As crazy as it sounds, with fantasy sports insurance, should something like this happen your entrance fee will be refunded. Every company has at least one “key person” who is essential to the overall well being of their organization. Most of the time this is the Chief Executive Officer. So what would happen if this person was injured or suddenly died? With a key person insurance policy in place, the company would receive a payout. While this is certainly no consolation, it is better to have the money than to be stuck and searching for a quick replacement. This is nothing fun to think about, but as of late kidnap and ransom insurance policies have become popular. This is due, in large part, to increased terrorism. Many big companies and wealthy families buy this type of protection. It is very common amongst companies and individuals who do business in high risk areas (where kidnapping is common), such as the Middle East. Do you have a lot of expensive art in your home? If so, your homeowner’s policy may not cover the entire value, if anything at all. It is better to pay a small monthly premium than to hope that your art is never damaged or stolen. No, a piece of art can never be replaced. That being said, you can be compensated for the value, should it be stolen. 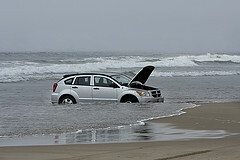 Insurance policies can be had for a myriad of situations and scenarios. Some of these insurance policies may seem completely unnecessary, while others may be a perfect fit for your needs and lifestyle. However, the more you learn about these types of insurance policies, the better prepared you’ll be when and if disaster – in all its different forms – ever strikes. Do you own any of these types of insurance policies? Do you have a policy even more obscure than these? Sound off in the comments and let us know whether you think these insurance plans are worthwhile or not. This entry was posted in Finances on 2011-02-28 by admin. People love their pets. This is particularly true with dog owners. Our beloved dogs are pampered, groomed, and even clothed. We make them into a regular part of the family. As more and more canine “luxury items” have begun to hit the marketplace, we’ve jumped on board to spoil our furry friends with these things, too. But have we gone too far? When it comes to your dog, yes, there are definitely some luxury items that are worth buying. However, there are also some things that are nothing more than a waste of money. You need to know how to differentiate between the two, and ensure that you are spending your money wisely. Once educated, the level of love you give your pup is up to you. This is one luxury item that’s really worth some consideration. Many dog owners have found that traditional dog food is full of ingredients that may not be best for Fido. For this reason, the organic dog-food industry is taking off. Since organic food is made from all organic ingredients, it is healthier for your dog. Additionally, this choice carries the same perceived environmental benefits as the organic foods that you yourself might choose to eat. Some of the most popular brands include: Wellness Dog Food, Canidae Dog Food, Natural Balance Dog Food, Blue Buffalo Dog Food, Solid Gold Dog Food, and HALO Dog Food. If you are interested in buying organic food for your dog, compare the brands above before making a purchase. This may be a stretch for some owners, but your dog deserves something special from time to time. There are many places to purchase homemade dog treats. For example, shopping malls have kiosks, and you can even find independent bakeries. Of course, you can buy all the proper ingredients, find a recipe online, and do it yourself. This is definitely considered a luxury, but it is one that you should consider giving your dog. After all, homemade treats don’t cost much more than those that you can buy at the grocery store. Believe it or not, there is a huge market for orthopedic dog-furniture. For example, does your dog have a bad hip? If so, try an orthopedic bed. These are meant to alleviate pain and increase comfort for your ailing pet. These cost more than standard dog beds, but since they are made with memory foam, they are able to alleviate pressure on the joints and bones. Your dog is not a person! It does not need sweaters that cost $50 or shoes that are more expensive than the ones you have on your own feet. If you are going to purchase clothes for your dog, stick to affordable items. You can get something that looks great at a bargain price. After all, your dog won’t treat a luxury sweater with any more concern than a sale sweater. From chairs to sofas and loungers, the dog furniture industry is booming. The question remains: does your dog really need the same furniture options as you? What happened to letting Spot sit on the floor? Pick the right-sized crate and maybe splurge on a nice bed, and you’re probably good to go. That’s right, these do exist. Seriously, does your dog really deserve to eat out of a bowl while you serve yourself dinner on a paper plate? Your dog does not care if it’s eating from an expensive bowl; it just wants food. Save your money for something more important, or better, take the amount you would have spent on a sparkly bowl, and donate it to a shelter in your area. As you shop for luxury items for your pet, consider the points above. These will help you determine where to spend your money, as well as what you should and should not be buying. This entry was posted in Finances on 2011-01-13 by admin. Finding a mechanic that you can rely on isn’t easy. While there are undoubtedly some great mechanics out there, knowing who to trust can be difficult, and making the wrong decision can be costly. When deciding where to take your vehicle, you have three main choices: a big national auto chain, a dealership, or a local mechanic. At an auto chain or dealership, you’ll find mechanics who are particularly skilled at working with your make of car, but this comes with an inflated price tag in most cases. With a local mechanic, you’ll often get more personalized service as well as lower prices, and will be able to have much closer contact with the mechanic who is actually doing the work on your car. Moreover, because local mechanics rely on a good reputation and positive word-of-mouth to bring in new customers, there’s a much bigger incentive for them to perform quality services and gain your trust. They won’t develop long-term relationships with customers if they sneakily add on extra jobs to bump up the final bill, so it’s in their interest to play fair. Dealerships and national auto chains are less reliant on this type of relationship, so they’re not as bothered if you don’t use them again. That’s not to say that all dealerships and big auto chains are necessarily out to sting you, but one of the disadvantages of going to a dealership for a service is the strong emphasis on getting maximum profits rather than looking to build relationships with customers. They are more about quantity than quality. If you decide to go the local mechanic route, ask around and see if any particular names come up multiple times. If you notice the same mechanic being recommended by different people, that’s probably a great place to start. Once you’ve got a name or two to go on, head over to the Better Business Bureau website to see what kind of reviews a particular garage has received. You might also want to take a look at the Mechanic Files tool on the Car Talk website. You can search for mechanics in your area (including those who specialize in particular makes) and see what ratings they’ve been given. Ratings on this site are based on factors such as how much they charge, how quickly you can expect them to complete work on your car, how trustworthy they are, and their level of skill and competency. It’s also a good idea to check their affiliations. Is the repair shop affiliated with the likes of the American Automobile Association (AAA), the Automotive Service Association (ASA), or the National Institute of Automotive Service Excellence (ASE). It’s no guarantee of trustworthiness, but it may indicate that the mechanics have received a certain degree of training or that the repair shop has demonstrated acceptable levels of ethics. If you’ve got some idea of what might be wrong with your vehicle, you’re less likely to be seen as a potential victim who can be walked all over by the mechanic. Doing some background research on the potential causes of your problem can give you a rough idea of what you should be spending, and it will allow you to speak intelligently with the mechanic. Once you have your quote, get written confirmation so that the price can’t be jacked up on you. This also reduces the likelihood of finding adds-ons tacked onto the bill for work that wasn’t part of the original quote. 5. Gut Check: Do they Seem Legit? Are the prices prominently displayed? Is it easy to find information on the warranty terms? A good mechanic will have this kind of information on display so that customers will not be confused. You’re right to be wary if you don’t see evidence of this! Are you given any alternative options to reduce your bill, or are you just given the one solution? Depending on the problem that brought you to the mechanic in the first place, there may be more than one way to fix it, and some options will undoubtedly cost more than others. It can’t hurt to ask! Are you allowed to stay and watch while work is performed on your car? If they don’t have anything to hide, there shouldn’t be a problem with you waiting around to assess the situation. If you do run into problems, you can learn a lot from how the situation is handled. An honest mechanic will want to resolve the problem as quickly as possible and retain your business rather than run the risk that you’ll warn others against using them. How they handle any unexpected obstacles is a telltale sign of the shop’s dependability and quality. What are your tips for finding a good mechanic that can be relied on without having to pay a small fortune? On the flip side, how can you tell if a mechanic is going to be a nightmare to work with? As always, I’d love to get your thoughts on the subject! This entry was posted in Family & Relationships on 2010-12-01 by Christine. The holiday season has officially begun with the hustle and bustle of retail shopping, pulling the boxes of decorations from the garage, and families planning their seasonal meals (now if California would just drop below 78° so I could light the fireplace). But are you nervous about spending money during the holidays? Well, if so, you are not alone. While retail sales are showing a promising sign this year, it’s my gander that people are putting a more conscientious thought into their purchases. It just means there is a frugalite in training – taking that hard earned money and finding the best buy. A frugal holiday can still be high in cheer if you think like a pioneer, plan the holiday budget, instill some frugal fun, research some great sales and take up that free shipping. Yup, free shipping! Read all the way down for details. Check out my giant holiday post. How do you have a real frugal Christmas? Think back to how our Old West ancestors celebrated – with a Pioneer Christmas. Taking the consumerist out of the season is not easy. I really had to consider this one. With everyone so geared to opening retail gifts, is it possible to have an enjoyable simple holiday with our loved ones? Cooking all day. There is nothing better than having the family cook a great big meal together. It’s especially great at my aunt’s house because we cook Filipino, Mexican and a traditional American meal. Use natural materials found anytime of the year, such as evergreens, pinecones, holly, nuts, and berries. The great Adirondack Christmas – simple, natural, and cozy. Decorate the tree with ribbon, yarn, berries, popcorn or paper strings, and homemade decorations. Sounds like a great craft for the children to string popcorn or berries! My daughter and I are making colorful paper chains this year. Give gifts of jam, preserved fruits and vegetables. If you are a crafty, make gifts of dolls, sachets, knitted scarves and hats. Gift making was a craft that lasted through the year in the pioneer days. Since I have not been so crafty this year, the farmer’s market and craft fairs will make a great place to stock up on gifts with love. Time to ponder on next year’s gift giving list. Sing carols with friends and family around the Christmas tree or fireplace. I remember as a child, we used to take hayrides around the neighborhood to sing Christmas carols. What fun! Does anyone do that anymore? You may start realizing, as Christmas dawns, that you forgot to get a gift for Aunt Sallie or Uncle Bob. If you don’t plan accordingly, the holiday “forget me’s” can’t wreck serious havoc on your finances. 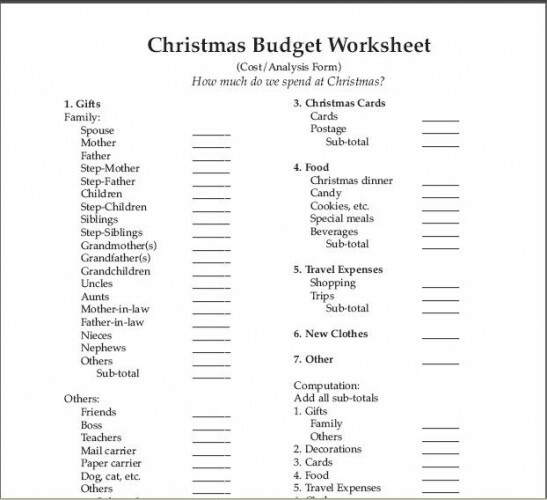 Save the stress and have a merry holiday by using the Christmas Budget Worksheet by Simple Living. With all the hard work that goes into preparing for the holiday. Make it shine each day with opening a small give from the advent calendar. Yes, even adults can enjoy a bit of chocolate or a script of love. Last year, I finally remembered to buy my daughter an advent calendar before they were sold out. Trader Joe’s sells a great chocolate candy advent calendar every year. But, I wanted to craft an advent calendar so I could have to take out each year. So, bring a bit of frugal happiness to a person each day in December by creating a matchbox advent calendar. 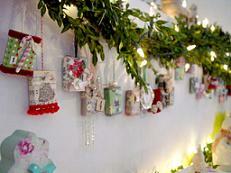 Those small pieces of left over scrapbooking paper or gift wrap now have a purpose! Whether you plan to host a few friends or a large gathering of family members, planning a Christmas dinner requires some thought, and a little creative shopping. Fear not. Following these tips will allow you to plan a Christmas dinner on a budget. Host a potluck. Big gatherings can be expensive. Especially when everyone has a hearty holiday appetite. To stay in budget, our family hosts a potluck. The hosting family will provide the main course – usually a turkey or ham. Then family members will bring all the side dishes and desserts. It works out great, as there are always tons of left overs to take home. Change the main course. A traditional thanksgiving dinner may not always the frugal choice. Consider mixing up the menu to fit within the budget. Most people will welcome the change. With my family, there is no shortage of ethnic flare.When it comes to holiday gatherings we have lumpia, enchiladas, mochi, adobo, sashimi, and a traditional turkey dinner (p.s. I have a large family and that sashimi is fresh, as my uncle is an avid fisherman). Check out your cupboards. Plan your side dishes by checking out your cupboards. If you have a can of green beans, a green bean casserole could be a start. Or a can of chickpeas, you can easily make hummus for a starter. Then start looking at your grocer’s sale ads to start saving on the other necessary ingredients. On Friday, December 17, an estimated 1,000+ participating merchants will offer free shipping with delivery by Christmas Eve. 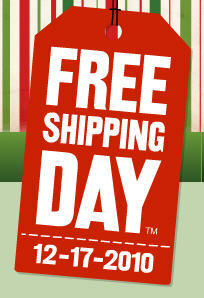 Check out Freeshippingday.com for more details. Free shipping day isn’t the only perk. Did you know you can score unadvertised specials from 40 Merchants? I am so happy to be able to share these unadvertised specials with you. Because fewer people know about the sale, Freeshipping.org betters their chances of closing the deal at cut-rate prices. This entry was posted in Family & Relationships and tagged christmas on a budget, frugal christmas on 2010-11-16 by Christine. Beauty, fashion, reality TV, frangrance and now a financial product? Mobile Resource Card, a provider of custom prepaid card programs, has partnered with the Kardashian sisters – Kourtney, Khloe, and Kim – to add a prepaid credit card to their empire of products. According to the NYPost, the new Kardashian PrePaid Credit Card is being marketed as helping parent keep their kids safe by allowing them to monitor their teens’ spending through their cellphones. PrePaid Credit Cards for Teens? While I do not condone the possibility it may be released to teens as young as 13 years old and that credit cards should be a sign of glamour with bling and celebrities, I do think cards – whether debit or credit cards – will far out weigh ‘cash is king’ in the near future. It might be worthwhile to teach teens how to responsibly use a prepaid credit card. How do you teach a teen the concept related to using a prepaid credit card? Let us consider a few things. As parents, you need to teach your children about fees, charges, penalties, and any other associated costs that come with the card. What are some of the fees and additional charges? Most prepaid cards impose transaction fees every time a cardholder withdrawals money from an automated teller not associated with the card issuer. The cardholder may also be required to pay declined transaction fees if they fail to replenish funds on their prepaid credit card. Sit down with your child to read the terms and conditions associated with the card. Help them understand the fees and costs that come with being a responsible card holder. Now that you discussed the fees and costs associated with having a prepaid credit card, the next things to help them understand is the interest rates. Although, a prepaid credit card does not impose interest rates because there is not a hold balance with the card company, it does impose interest for overdrawn transactions. Parents need to encourage their children to spend less than the available balance on their prepaid cards. This way, they can avoid learning about interest the hard way. As with any card holder, there also comes the responsibility of maintaining a personal budget. This is the most important lesson you can teach any child to help them manage their finances more effectively. Teach your children to track it frequently to stay on budget, spend no more than fifty percent of their available card balance, and to pay it in full each month. This will help them build a great credit score in the future. If the lesson of building a budget is embedded in their minds at a young age, for sure they will become financially responsible individuals in the future who can handle their finances and plastic cards responsibly. Some of the prepaid credit cards will send you a monthly statement. And almost all the card issuers offer online account management tools, where you can help your teen track their spending and transaction time in accordance with their budget. Sit down with your teen once a month to review if they are staying within the budget and spending plan; review any fees or costs. Continue to guide them in using a credit card responsibly. The the Kardashian PrePaid Credit Card will be available the day after the official launch, on November 10, 2010. This entry was posted in Finances and tagged kardashian sisters, prepaid credit card on 2010-11-09 by Christine.